John and Migs sit down on a rainy Sunday evening to talk about Hulk #27, Morning Glories #2, and The Flash #6. Listen to part one of the episode, below. In part two the boys share their thoughts on AMC’s The Walking Dead, the hit TV show based on Robert Kirkman’s ongoing comic series. Download the full episode here. 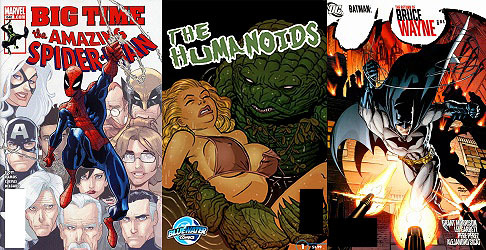 John and Alex return to talk about Amazing Spider-Man #648, The Humanoids #1, and The Return of Bruce Wayne #6. After a round of quick shots, the duo talk about contemporary trends in comics that peeve them off as fans. Enjoy!